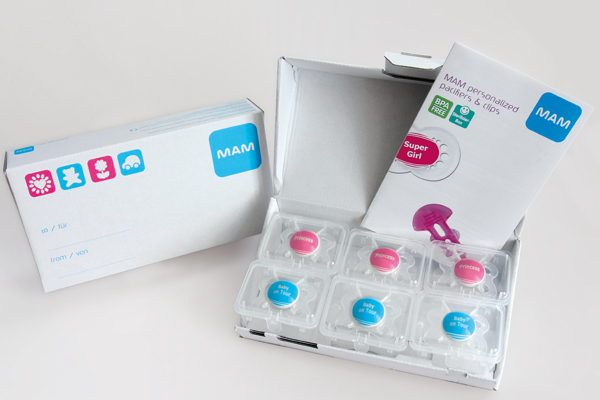 For babies who are very much individualists, MAM products can be adapted by our designers to cater for special wishes. MAM pacifiers can have the name of the baby or certain sayings added to them. And even the practical MAM clip can be embroidered. Making things unmistakeably distinctive! Delivered in a practical gift box! The delivery period is approx. 2 to 4 weeks.